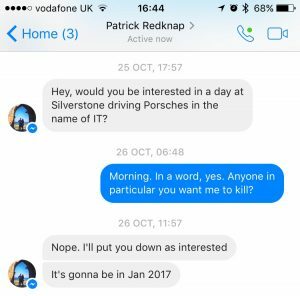 At the recent vRetreat at Silverstone, I experienced three technical presentations / Q&A sessions from the event sponsors. One of these, Cohesity, I was charged with writing a little more about. 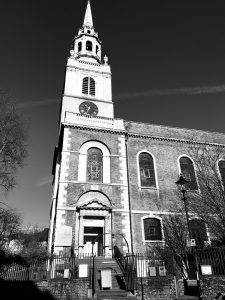 Up until that point, my experience and knowledge of Cohesity’s solutions was very limited as I’ve had my head buried in several large projects over the recent months. Ezat Dayeh‘s presentation at the vRetreat was therefore a great introduction for me to Cohesity’s mission and value proposition. Cohesity was founded in 2013 by Mohit Aron, former co-founder of Nutanix and a Google File System lead developer. With this DNA, it’s no real surprise that Cohesity’s solutions have a storage focus. 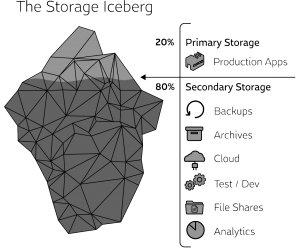 The difference with Cohesity is that its focus is not around primary storage (production virtual machines, databases etc), but secondary storage (file shares, backups, archives etc). Their mission is to redefine that secondary storage market. Cohesity estimate that around 80% of an enterprise’s storage needs are for secondary data and that the majority of the storage market incumbents are focussed on primary storage. Obviously the picture will differ from customer to customer, but in many cases this secondary storage will be distributed across various platforms and, in some cases, may be stored more than once. This could lead to problems with regulatory compliance, operational costs and even just having a view on what data is being retained. Cohesity’s solution is based on a hyper-converged infrastructure platform built from commodity hardware. Of course the hardware isn’t the whole story, not even close to it. But we’ll come on to the software part of it in a minute. Cohesity’s special sauce, its software, is where the clever stuff happens. 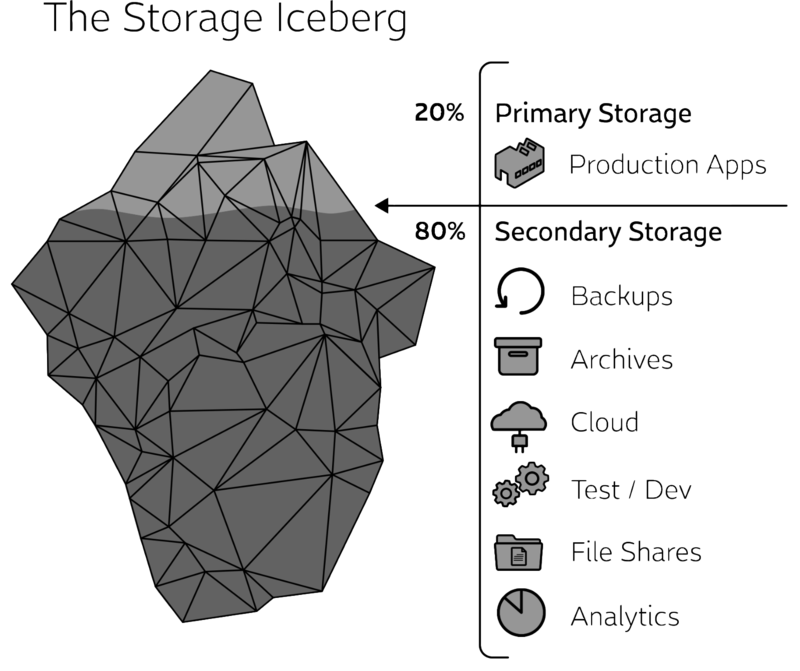 One of of the primary use cases for Cohesity is as a backup target or to provide an alternate backup solution. Cohesity can be a backup target for your existing backup software (Veeam being one of the cited examples and another of vRetreat’s sponsors). Alternatively, Cohesity can pull in the inventory from vCenter so that it can be backed up as part of a schedule using snapshots. Protected virtual machines can be restored swiftly and even used for test and development workloads. Restoration jobs are placed and on the Cohesity platform initially and then storage vMotioned back to the correct location later. Cohesity’s CloudArchive solution opens up the option of archiving cold data up to public cloud services like Amazon S3 or NFS based services. Once enabled, it’s all automated. CloudReplicate is a version of Cohesity that runs in the public cloud and enables a number of interesting use cases. One is DR in the cloud, Azure is supported with AWS coming soon. Another is using such cloud services for test and development environments, particularly for geographically dispersed teams. Another area that Cohesity are actively working on is that of data analytics. They predict that in 3 to 4 years’ time, it’ll be a huge use case. Add in deduplication, an “API first” development approach and built-in HA to the mix and you have an interesting solution emerging. 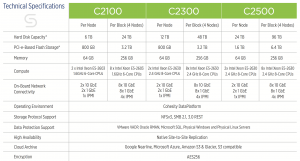 My thoughts on Cohesity? Based on Ezat’s presentation, Cohesity looks to have found an area that isn’t fully exploited yet. 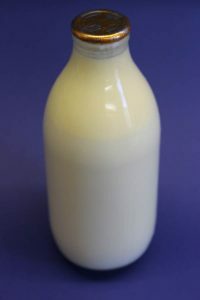 Most other vendors so far have been focussed on the cream at the top of the bottle (I had a manager once who raved about gold top milk) and, in some cases, happy to drink the rest too. 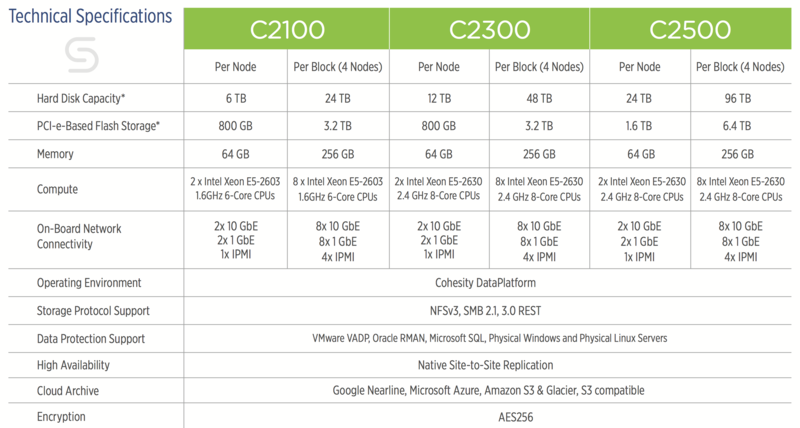 Cohesity almost seem to be saying “You have the cream, we’ll have the rest of the bottle.” Will they be successful? I think they will. Ezat shared with us that their EMEA sales operation was doing well in the first four months of operating. But I’d wager that their successes will draw other players in to the space they’re trying to carve out. I’d like to hear from some of Cohesity’s customers at some point to understand how it’s helped them. There’s nothing better than a good customer use case! Of course, some potential customers are going to be wedded to other vendors and some may be doing just fine managing their data with their primary storage. But it’s a big marketplace out there if the USP is right. As a final word, I’d like to thank Cohesity for sponsoring the vRetreat last month. 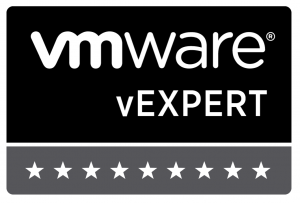 And, if you happen to be around for the South West UK VMUG in Bristol on February 22nd, they’ll be there then too. Fast forward three short months, and the guy who co-organises the vRockstar parties in Barcelona (Patrick Redknap) is hosting the first ever vRetreat event at the Porsche Experience Centre. Amit Panchal, Barry Coombs, Rynardt Spies, David Owen, Simon Gallagher, Me, and a special guest appearance by Joe Baguley. The day started early with breakfast at the Porsche experience centre. After a few minutes drooling over looking at the cars inside the experience centre, we all sat down to hear from each of the sponsors in turn. Each of us was assigned a sponsor to cover in more detail. I’ll be covering Cohesity in a subsequent post. First up was Zerto’s Darren Swift. After going over the company’s history, Darren launched in to two detailed use cases for Zerto’s products. One of these, admittedly a “corner case”, dealt with the recovery from a ransomware attack using Zerto. Both use cases were interesting and Darren presented them well. He completed his session by going in to some more detail about the product architecture and its scalability. He also took our questions at the end and throughout. I’ve not had much opportunity to work with Zerto in the recent past. Their API is of great interest to me though. Maybe later this year I’ll get some time to explore automating Zerto through vRO. There are quite a few Powershell examples out there already, but I’d like to get it working with vRO. Fellow vExpert Michael Cade was on hand next to represent Veeam. Their current focus is on availability for the enterprise. The most recent version (9.5) of the Veeam Availability Suite includes a number of enhancements including direct restore to Microsoft Azure with the restored VM being pre-converted to the correct format. Veeam are also introducing agents to offer better interaction with public clouds and physical servers / workstations. Veeam have been in business for a decade now. Some of their products have their origins with VI3 and vSphere 4 and have evolved from there. But they’re gradually transforming to adopt an API driven product approach. Combined with their wider coverage of the enterprise, they’re worth keeping an eye on in my opinion. The newest of the day’s three sponsors, with their EMEA sales operation only starting up last September, was represented by Ezat Dayeh. Cohesity’s goal is to address what they see as the gap in the secondary storage market, no, to redefine the secondary storage market. As I mentioned above, I’ll cover Cohesity in more detail in my next post. Following lunch in the experience centre’s restaurant and a quick safety briefing, we were introduced to our Porsche Driving Consultants (I think that was their title). 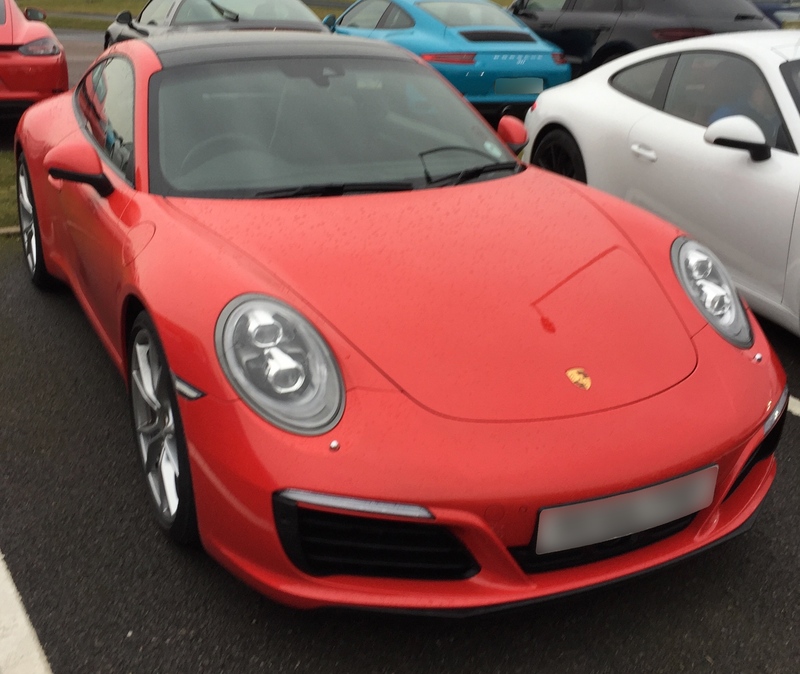 They would be our guides to the various tracks and features and help us get the best from the selection of Caymans and 911s available to us. My PDC, Ben, spent a while talking to me first, trying to gauge my comfort level and experience before we headed out in this 718 Cayman. 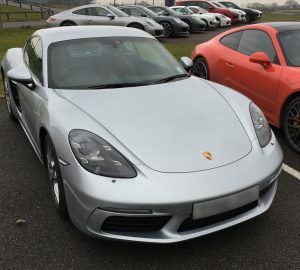 For those who don’t know their Porsches (certainly not my nephew, who’s a certifiable Porsche nut at the age of 6), the Cayman is a mid-engine, 2 litre car that puts out 300BHP. I spent a few laps on the main track building up some speed around the various corners and getting a feel for the car until Ben introduced me to the kick plate. This is a section of very wet track that throws the back end of the car to the left or the right randomly to teach you how to control a skid. Great fun! I also got to try out the car’s launch control, which was a bit brutal. As a rear-engine, 3 litre flat 6, the 911 was a bit of a different beast from the Cayman. I did quite a few laps in it and also revisited the kick plate. Also on the menu were a number of laps on the low friction circuit. By the time the light was dropping and the rain started to fall, I was wiped. But it was great fun! I’d totally recommend the experience to anyone. I’m a big fan of VMUGs and other IT community events. This one was very different than any I’ve attended in the past though. Patrick put together a very informative and enjoyable event and I am very grateful for the opportunity to attend. My thanks to him for inviting me, but especially to Cohesity, Veeam and Zerto for making it possible. I must confess that I’d never driven a Porsche before. Growing up, I had loads of Matchbox cars and a number of them were Porsches. (I actually still have one upstairs somewhere.) Ben, my PDC, and the cars themselves did a pretty good job of making me want one. The day had one final surprise in store for me though; a quick trip as a passenger in Joe Baguley’s Tesla. I want one! Ludicrous mode is well named but felt much more controlled than the Porsche launch control experience earlier. And here’s how not to do it. The whole Porsche team were professional and let you have fun, let you challenge yourself, but they knew what they were doing. Thank you Porsche!